Traveling along we have found ourselves at our eighth (8) country- Thailand. 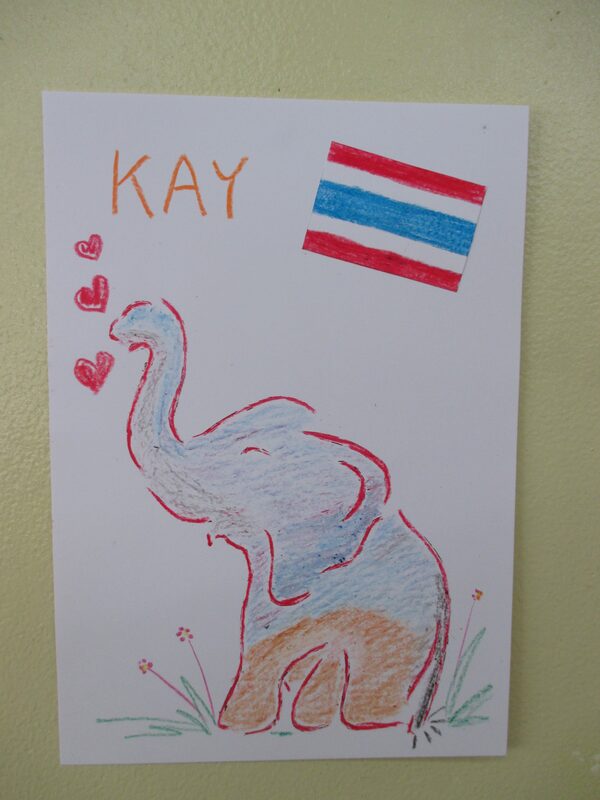 We were shown the flag of Thailand and how it is made up of three colours- red, white and blue. The children coloured it in and because it was a sticker (good idea!) they stuck it to their picture of an elephant. 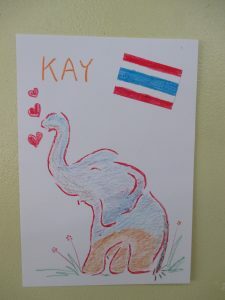 Trin’s mum shared with the children that the elephant is a very sacred, special animal in their country, with the white elephant being the most special. There are presently 11 in the country. Did you know that it is “Elephant Day” on March 13th? 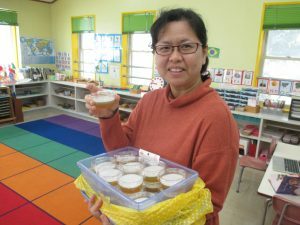 We also had the pleasure of tasting a traditional Thai dessert which was made up of three (3) layers of fruits and coconut. Yum! 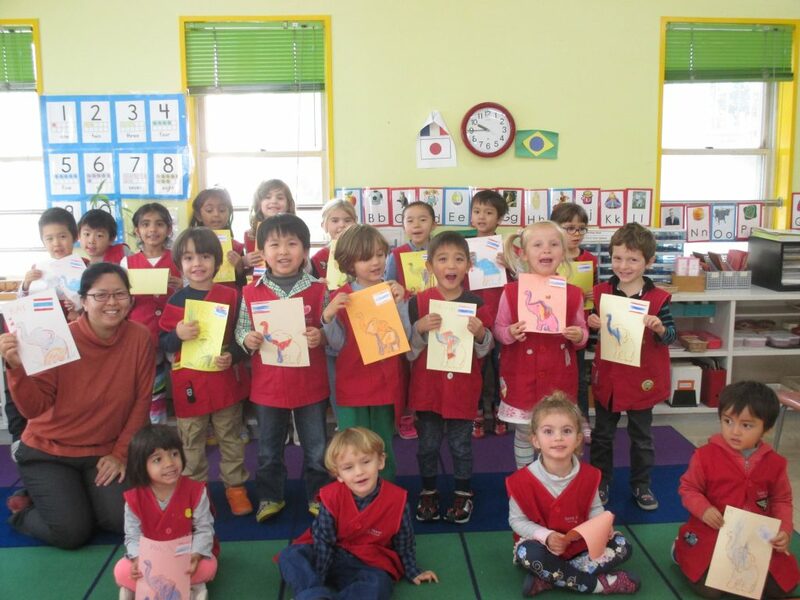 Again we came together as a class to show our beautiful elephants!